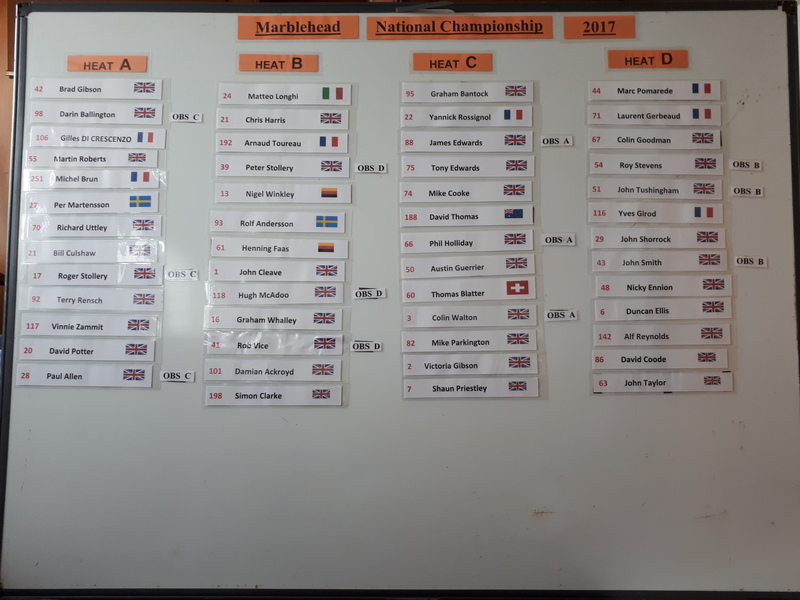 Below is a photo of the Heat Board for race 1 on Friday 7th July 2017 – with apologies to our German entrants for the upside down flag, my fault! This entry was posted in 10r, Big Events, FWD2017, Marblehead. Bookmark the permalink.